If you have hours and hours and nothing else to do, you can read the comments--the thousands of them--that have been submitted to the Federal Motor Carrier Safety Administration regarding possible changes to the Hours of Service rule. Reading the comments, there's one thing that jumps out: they're all different. That might seem like no big deal. But often when a call for comments is put out by a federal agency, it is greeted by a highly-organized drive in which a trade association or some other group provides its members and followers with verbatim wording to use in submitting their comments. The only thing that accomplishes by the third or fourth identical note is to ramp up the count, i.e., "There were 7,813 comments in favor of eliminating the regulation on what side of the toast bread should be buttered on! This reveals the depth of anger in the U.S. over the current rule!" The ones on FMCSA’s Advanced Notice of Proposed Rulemaking, by contrast, all appear to be individually crafted. If there is a set wording, it wasn't visible in a random search of the comments. There also wasn't a lot of the type of comments one can see on social media, demanding that the government get out of everyone's life. Even a random trip through the comments list reveals that overwhelmingly, the respondents put time and thought into their responses. There also were plenty of thanks for the opportunity to present the views of the driving community and others. 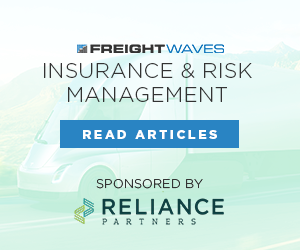 FMCSA officials insist that every single comment gets read. The comment period ends October 10. The questions are about extending the exemption from record-keeping for short-haul trips to 14 hours from 12 hours; adding an exception to the 14-hour window for adverse conditions; whether the 30-minute break should stay or go; providing more flexibility in the split sleeper berth rule; an OOIDA request to allow the clock to be stopped on a 14-hour day with an additional three hours off, which would make it a 17-hour day; and a TruckerNation request that also would allow more flexibility in the 14-hour rule. Here are just a small sampling of the comments that are out there on the various issues. If you want to add your own, you’ve only got until Wednesday. If you want to read thousands more, you can find them here. Bob Forman, Preston Contractors: We have a variety of trucks in our fleet to support our operations. Our drivers, like other companies, struggle with the restrictions placed on their ability to do their job because it is so varied, involving more than just driving. The additional two-hour period could be instrumental in helping our operators increase their paycheck, with the added benefit to the company of additional manhours of production, thus creating the trickle-down effect. We have more profit – our customer has more product and can produce more…bill more…ship more…etc. There are no methodologies to compute an accurate number for increased manhours. Jim Bardsley, Kentucky Drivers Association: It is our opinion that this would allow for uniform rules to be in place, regardless of length of haul. In short, yes, this works for us. Thomas Hicks, no hometown listed: Cancel the 30 minute break rule. None of the drivers actually take a break. They usually just fuel their truck. Kory Marion, no hometown listed: I'm strongly in favor of eliminating the 30-minute break. It adds a deadline time we need to watch and sometimes rush to meet. Drivers need to stop every few hours to use the restroom, deliver/pick up freight, periodic inspections, etc. Drivers are getting out from behind the wheel without the need for a required break. If you feel a break is needed, I would like the option of multiple shorter breaks instead of one 30-minute off-duty period. It would give us flexibility. Kory Marion, again: I'm also strongly in favor of letting professional drivers use their judgment and extend the 14-hour clock 2 hours for adverse conditions. It is important drivers aren't feeling rushed when conditions are poor. Having extra time allows drivers to slow down or stop until conditions improve. I think the rule should include all adverse conditions, not just unforeseen conditions. For example, in the case of snow, every storm is different. A 2" snowfall can cause horrible road conditions, while the next 2" snow storm has little impact on travel because road crews were keeping the roads clear. Kate McLaughlin, no hometown listed: I am writing in support of a 2-hour exception to the 14 hour HOS limit due to adverse conditions. I manage a fleet of drivers at Three Square Food Bank in Las Vegas, NV. I have two drivers who, once or twice a week, go to Southern California to pick up donated food. These are one-day trips, as the drive time typically is about five hours each way. However, we are challenged by the 14 HOS rule when one of, or a combination of, three things happen: traffic is slowed to a crawl due to accidents or something else, our truck experiences a flat tire or other issue and has to wait for roadside assistance, or load time is in excess of three hours. While I respect that there needs to be a HOS limit for safety reasons, our drivers rest in the sleeper berth while loading or while waiting for roadside service, and can easily handle an extra few hours if it means getting back home to their own beds that night. Steven Picher, Pomona, CA: The current 8/2 split is too complicated for most drivers and doesn’t give them the flexibility needed. The split must be easy for the drivers to understand such as 5 hours extends driving for 5 hours such as the old sleeper birth split was handled. I believe drivers should be able to split up their sleeper berth as in the past in increments no less than 5 hours. This would allow drivers the flexibility needed. Currently drivers’ hours start and don’t stop. Taking a 5-hour nap to avoid driving in peak traffic shouldn’t penalize a driver. Drivers being allowed to work when they feel truly rested allows for much safety roads instead of assuming that a full 10 hours gives a driver the rest needed. Driving 5 hours and sleeping 5 hours can be much safer for many drivers. Donald Janssen, Carinville, IL: I feel strongly that the FMCSA should add split sleeper berth flexibility to hour regulations. 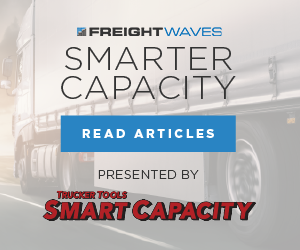 This will allow professional drivers to use their own best judgment in operating safely while continuing their mission of moving America’s freight in a timely and efficient manner. Jack Martin of Bluff City, TN didn’t address the proposals as much as just lamented the current set of rules: “I'm going to give you a real-world example. I left out this morning at 8 a.m. the traffic was moving well so I arrived at the shipper at 9 a.m. When I arrived, I checked in and backed up to the dock. I laid in the sleeper watched TV, ate a sandwich, took a nap for a couple hours. I signed my paperwork, shut my trailer doors. I started driving again at 7:45 p.m. I had to stop driving at 10pm while I was still safe and alert. I tried for several hours to go to sleep, no matter what I did, I couldn't. The last time I looked at the clock, it was 6:46 a.m. which means I slept for a maximum of one hour 14 minutes. I definitely was not well rested or as alert as I could have been if I could have driven another five or six hours instead of having to stop at 10 o'clock. I had to pull over and sleep a couple hours approximately 45 minutes after coming off my 10-hour break. then continue my trip. By the time I was able to sleep it was almost time to get up. I wish I could say excessive loading or unloading time was uncommon. But it is becoming the norm. If you wonder why I didn't park at the shipper, it was not allowed due to their company policy. I used to operate safely, now I operate legally. Timothy Boivin, no hometown listed: The ability for drivers to stop take a break and pause the 14-hour clock in my opinion is a fantastic way to improve safety on our roads. With the ability to pause the 14-hour clock drivers can avoid morning and evening rush hour traffic, if there's an accident on a highway we would be able to pull over, take a break and still be able to continue down the road to make on-time deliveries or Pickup. Laurie Carter, no hometown provided: The ELD is not the enemy. The drivers are themselves. I have never missed an appointment due to ELDs. Drivers who fail to plan their day leaving allowances for the unexpected are causing the problems. OOIDA fights for the owners but no group fight for the company drivers. The 30 minute break is a blessing. It doesn’t have to stop at 30 minutes. You can take a hour or two so you can eat, shower or walk around. I’m not understanding why the shippers or receivers are not being held accountable for holding up the drivers. Walmart distribution centers want to deliver at a set time. Yet they do not allow drivers to take their break on their property. But Walmart can and has taken more than four hours to unload a trailer. There will not be a happy medium for all drivers. Any change to the HOS will still have a negative impact with the drivers. Truck stops are another problem. Allowing RVs and pickups pulling trailers into the parking lot plus being allowed to charge for parking has caused drivers to park on ramps or other unsafe areas. This causes fatigued drivers. Enough said.